Digital and data agency CHE Proximity has opened up an innovation division created to work with Australia’s booming startup economy, or what it is calling “the clients of the future”. The division, Spotfires, will exist within the CHE Proximity agency itself and draw from its experience in data, customer experience and technology to support startups looking to build up their offering. Spotfires is headed up by CHE Proximity creative, Tommy McCubbin, who has personal experience in creating startups, and says the idea came to fruition after he spotted a gap in the market. McCubbin said the current startup model sees a founder come up with an idea, sit in their bedroom and bootstrap it to come up with a model that people start using, then raise some money and finally try to go to the next level of making it commercially viable. At this stage, he says they often have to try to hire staff in a range of different areas from branding to tech. “What I’ve sort of found over the past several years, and certainly over the past 12 months, is there are startups out there that need what agencies offer,” he said. While getting into the startup game is becoming more common in adland, most compelling about the Spotfires' offering is that CHE Proximity, unlike other incubators, doesn’t take an equity share in the startups it supports. Instead, CHE's fee is the same budget that the startup would spend on hiring a salaried member of staff, so they can gain access to the agency’s suite of services. It also means that rather than hiring a separate team to work on innovation, Spotfires will tap into the agency’s capabilities. So far, the agency has three startup clients, all of whom are expected to go to market before the end of the year. 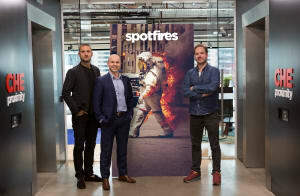 CHE Proximity general manager, Andrew Drougas, said the agency has always been open when it comes to staff working on personal products, with Spotfires open to internal ideas too. CHE Proximity managing director, Chris Howatson, said boosting innovation in the agency is part of its strategy moving forward, which is guiding the client across the communication chain. 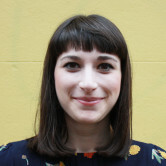 “What we fundamentally believe is that agencies today need to be fluent in every language in the communication toolkit; you can’t just be a deep specialist in one thing anymore,” Howatson said.